A Memorable Thanksgiving...Thanksgiving should always be memorable, mostly because we get to spend it with family and friends. That was true for this me this year, but with an added twist: We had a flying squirrel visit us for Thanksgiving. By way of background, we had a large Thanksgiving dinner in Jenkintown, Pennsylvania with my wife's family. The actual festivities were held at a beautiful old church hall that my father-in-law (a retired Episcopal priest) was able to procure due to his having previously acted as a temporary pastor. Anyway, after much chasing and general Keystone Cops-esque tomfoolery, our visitor was safely captured and returned to the wilds of Jenkintown. 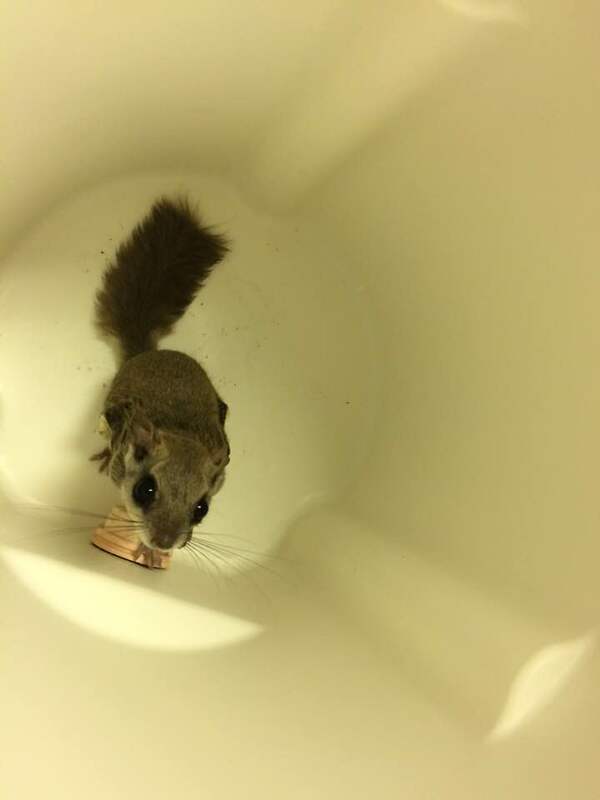 Hopefully, our little friend will go about what flying squirrels normally do and avoid church halls in the future. Bohemian Rhapsody...We saw the Queen movie Bohemian Rhapsody on Friday night, and it did not disappoint. In fact, if you are even remotely familiar with the band's music, I'd highly recommend that you take the time to see the movie. A lot of great stuff is being said about the lead actor, Rami Malek, and all of it is deserved. I will note though the actor who played Brian May, Gwilym Lee, was uncanny in his resemblance to the guitarist. I know there has been some backlash centering around how the movie treated Freddie Mercury's sexuality (see THIS article as an example), but it seemed to me that the film made a very reasonable attempt to show Freddie Mercury as the complex individual he likely was. While I can't relate to his sexuality, I can absolutely relate to being someone who is wildly uncomfortable in personal interactions but very comfortable and confident when on a stage (in my case, in front of a classroom). In any event, Freddie Mercury was a son, a cat-person, a rock icon, a loyal friend, a lover and many other things, all of which the movie tried to show in the course of fewer than two hours...and I think they did a great job. Christmas Shopping...It's only a few days after Thanksgiving and, as usual, I am almost completely done with my Christmas shopping. Now lest anything think that this is because I am masterful at planning (well, actually, I'm pretty good it), the reasoning behind my holiday buying habit is far more practical: For a long time I basically didn't have enough money to buy all the presents I wanted to get for others, so I had to start shopping very early (typically in the summer) and buy a little over time. I may not have that underlying need now, but the practice continues. Bombas...I admire businesses that give back to the world in a significant way. One such company is Bombas, a company that makes and sells socks. You can read more about them HERE. For every pair of socks you buy from Bombas, they donate a better pair to a homeless shelter. I've purchased a number of socks from myself from Bombas, and they make a great product. The fact that they help others in the process is all the better. October (in the rear-view mirror)...October is the worst month of the year for me. Always has been, always likely will be. Looking back on last month, October once again delivered fully on its reputation. There is a larger post on this topic that's to be written but suffice to say I got through it, and maybe for the better. The odd thing is that there was just one part of the month that was particularly challenging for me, but other parts were actually very enjoyable. Self-Checkouts Are Horrible...Don't use self-checkouts. Just don't. They seem to me to be just another example of how some retailers are trying to further de-humanize retail, squeezing even more profits out by reducing entry-level jobs. I'm not the only one who feels this way; see THIS article.